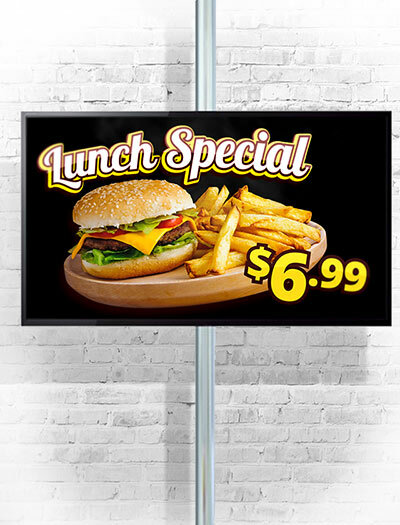 LCD menu boards are perfect for menus. Vibrant colors matched with motion graphics draw attention to your menu items influencing sales. 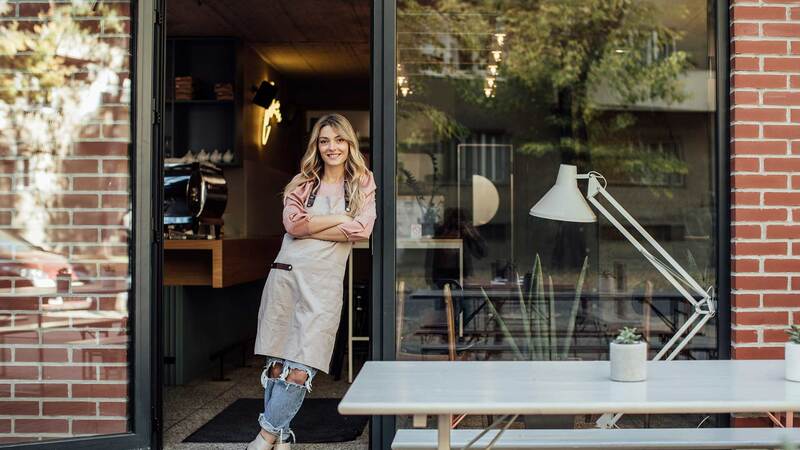 A new menu board design is a proven way to lift sales. It’s also an easy and inexpensive way to maintain a fresh look. 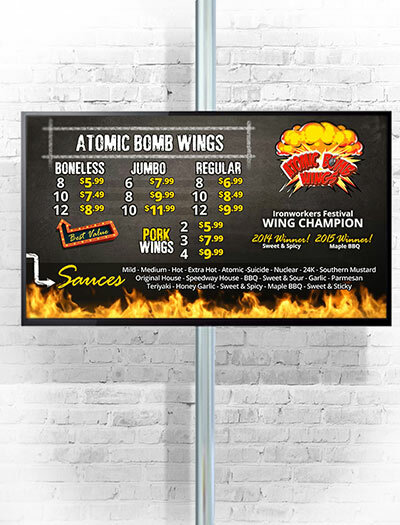 Giving your digital menu boards a facelift with a new design has never been easier. Give us a call today. There are thousands of digital menu templates out there. If you want generic design and generic results there is large supply. With custom menu board design you can incorporate your own brand in the menu board design. Custom designs strengthen your message with consistent messaging and put you in full control of the message and look you want in front of your customers. 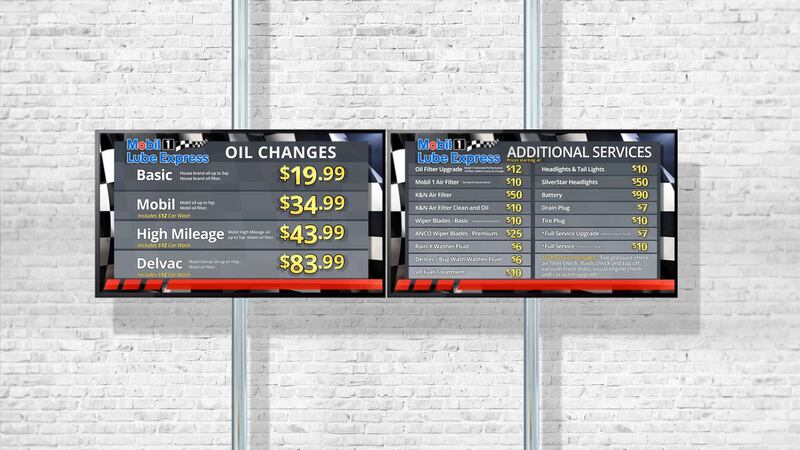 Custom designed service menus elevate your dealership or auto repair shop above the competition. 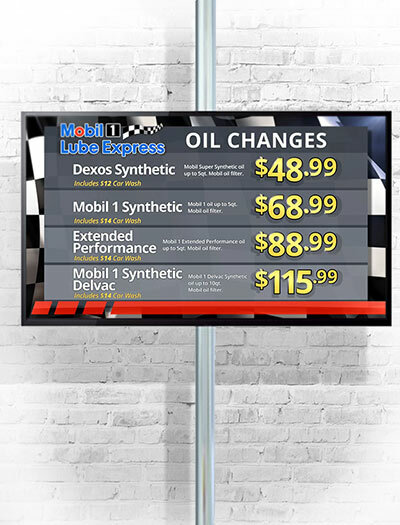 Present your customers with well designed service options for oil changes, tune ups, you name it. Animated elements and motion design also captures waiting customers attention influencing them to add a service. 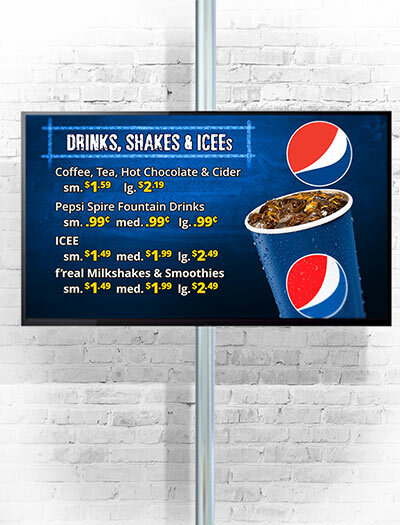 Upgrade your convenience store digital signage with custom fresh looking menu board design. Dual purpose menu boards can be designed to feature products along with communicating item pricing. 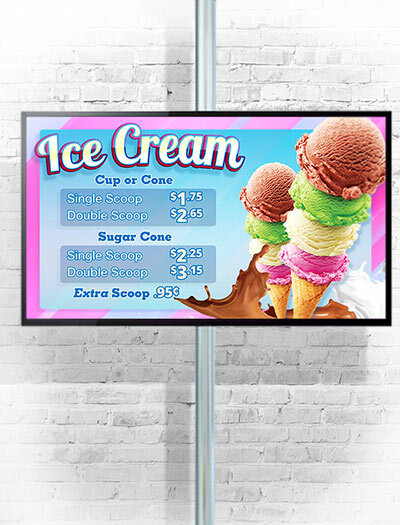 Our menu board designs are compatible with any digital signage content player. We even offer consulting for low cost systems to get your new content up and running without all the hassle of high cost sign systems that include features most business owners will never use. We’ll build your digital menu to match your brand. Templates just don’t cut it. With a custom menu design you have full control over every aspect of your digital menu design without being limited by predefined templates that have limited color options, generic graphics, and awkward zones. Ad motion graphics to your menu to draw attention to the items you want to sell more of. Subtly motion elements in your digital menu design will help lift sales and influence the consumer by directing their attention to the items and that you want them to by. Make it stand out with motion designed menus from Verge.